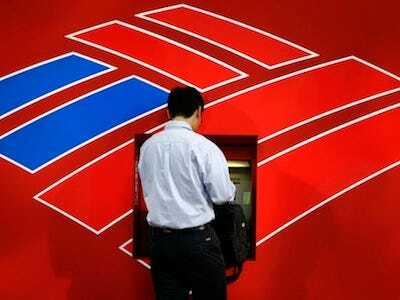 Anonymous hackers have released 14 gigabytes of information allegedly related to Bank of America and a web intelligence firm it hired to spy on hackers and social activists last year. The leak includes a list of more than 10,000 words, phrases, and (seemingly arbitrary) Wikipedia entries — everything from “jihad” to “keg stand” to “I Wish That I Had Duck Feet” — used to find items on forums like anonops and sites including Facebook, Twitter (and Tweetdeck), pastebin, and various blogs. But the emails include “Daily Cyber Threat Highlights” that list events and stories from all over the world. And the data dump adds a new element to what is known about public and private entities surveilling protestors of Occupy Wall Street. We knew that web intelligence firm Ntrepid mapped online relationships between anarchists and the leaders of Occupy. These documents reveal that TEKSystems assembled “intelligence” reports on both Occupy and hackers for (at least) the first 11 months of 2012. “As a bonus,” the hackers released 4.8 gigabytes of data containing the salary information top executives around the world, including Google CEO Eric Schmidt.